Walking along the dock tonight, it was peaceful and calm. My heart was fairly peaceful and calm, as well. The sun had long been gone, but a hint of orange still remained in the gray sky of dusk above me. It was raining and the lights reflected in the soaking wood beneath my feet. In the last couple of weeks or so, I’ve had many issues to bring before the Lord in prayer. Already, there have been answers to some. If I just stop to consider, I have so many blessings to be thankful for. Despite the issues that seem difficult and overwhelming, there are so many things that are right and good. Things that are just as they should be, or actually, even better. 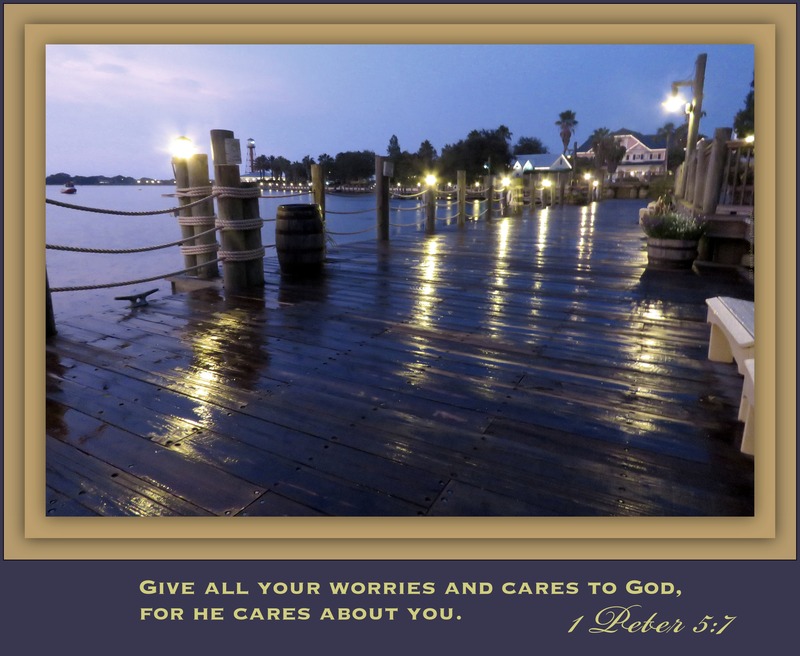 He doesn’t want us to be sick with worry and concern over things that are in His control. He wants us to come to Him with our concerns.